10mm Wargaming: Live from Antietam! Mark your calendar for tomorrow, September 20 at 1:00 p.m. Eastern for a Facebook Live event at Antietam battlefield! 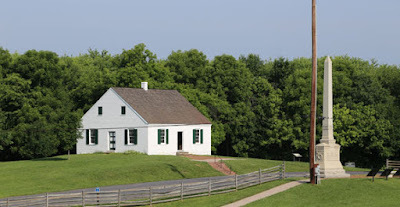 Civil War Trust President Jim Lighthizer and Director of History and Education Garry Adelman will join with National Geographic Magazine to highlight the famous battlefield and its preservation. The live broadcast will be featured on the National Geographic Magazine Facebook page. It will cover themes from “Preserving Antietam,” an article that appears in the September issue of National Geographic History. The article explores the historic preservation efforts at Antietam, from the creation of the national cemetery to its distinction today as one of the best-protected battlefield parks in the nation. To watch, head to National Geographic Magazine Facebook page, tomorrow at 1 p.m. Eastern. You can also leave questions for Jim and Garry in the comments section. Thanks to many of you, Antietam is one of the jewels of the National Park Service. The Civil War Trust has saved more than 300 acres here over the years. Join us to relive these preservation efforts, and share the event with your friends!